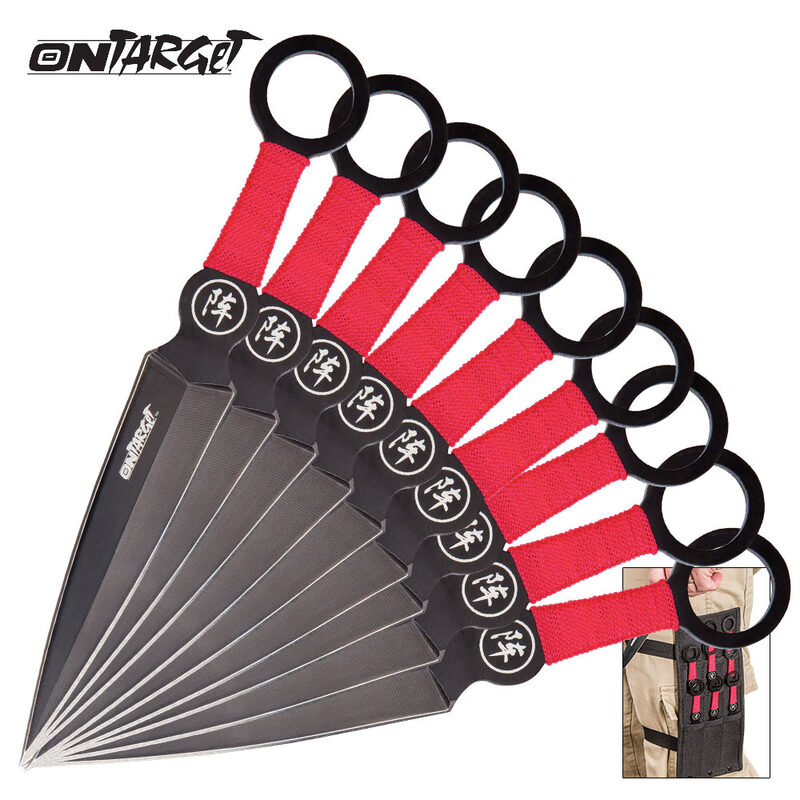 Our On Target Battle-Front Throwing Knife Set is exactly what you are looking for in a thrower set! Each 6 1/4" knife is crafted of 3Cr13 stainless steel and is perfectly balanced for accuracy. Etched on the blades are the message "Deploy for War" and the handles are wrapped in red nylon cord for a comfortable and secure grip. 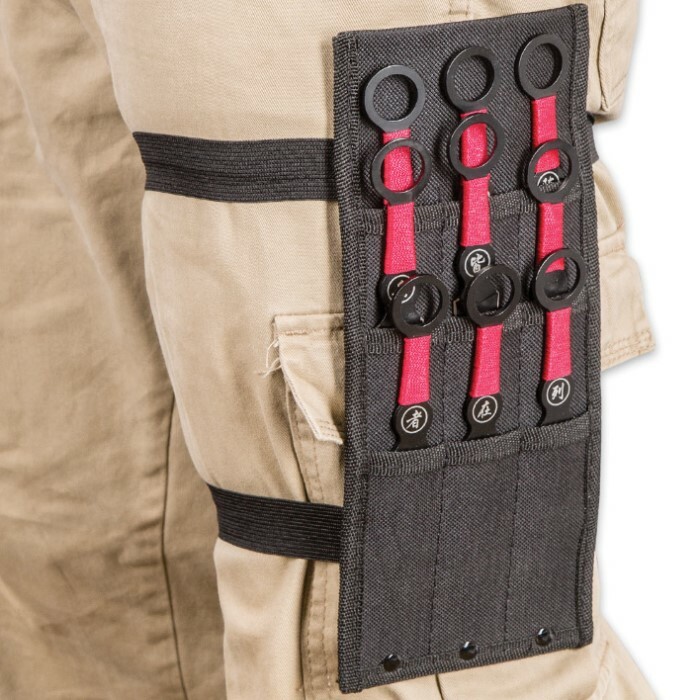 A premium nylon sheath with elastic straps houses your throwing knife set. If you're going into battle, you better have throwers that you can count on! This is my first set of throwing knives, and so far I like them a lot! They are very durable. 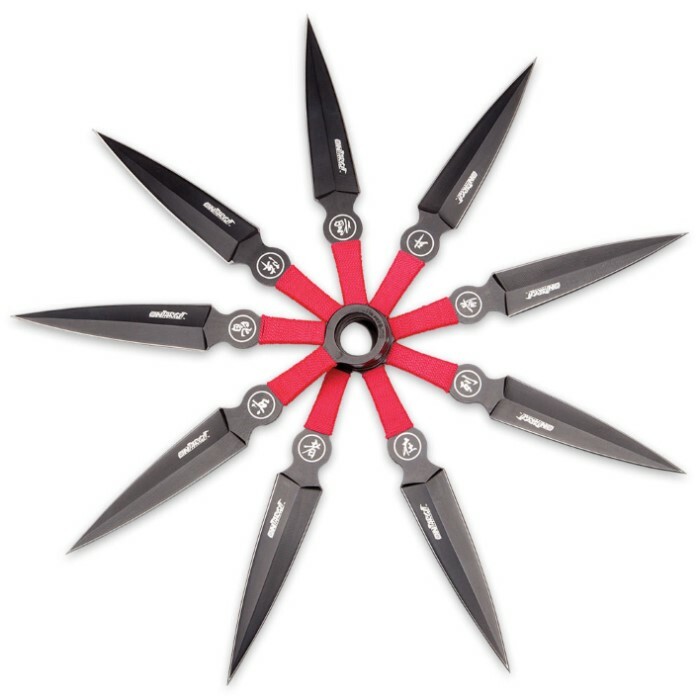 These throwing knives are durable. Great buy for anyone who wants to learn how to throw knives. They're a bit small but well made and durable. They can take a decent hit and make a good first set for aspiring knife thrower. It snows a lot where I live (OR) and I think that if the product can stay together in the bitter and wet cold, they can handle any environment.